Sitia Geopark is located on the east coast of Crete – undeveloped, arid and windswept – it includes numerous Natura 2000 sites, archaeological sites including Zakros Minoan palace, a network of over 130 caves and hundreds of other impressive geological features. Recent proposals for major tourism and energy projects have threatened its natural and cultural landscapes, including its scarce water resources, with questionable benefits to the local population. The project investigates the local communities’ perceptions of their landscape: – their bonds to it and their visions for its future. Using innovative and best practice community engagement methods, the project aims to empower the proactive management authority of the Geopark – a project partner – as well as existing grass roots initiatives and so that they can collectively plan and shape a sustainable future for their landscape. Actions have already commenced and schoolchildren of all ages are engaged with the project through activities such as ‘I live and discover my landscape’ – drawing and photographing the landscapes they most like or dislike, and participating in an essay competition on ‘How I dream of my landscape 25 years from now’. All the submissions will be collated for an exhibition, opening on 8 April, to which the decision makers and stakeholders involved in the Geopark’s management plan revision will be invited. 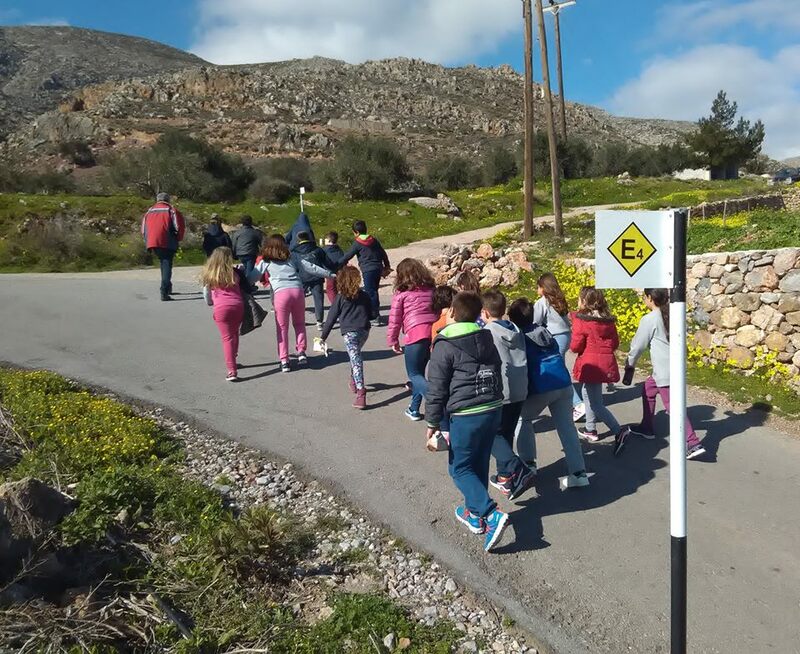 At the same time, all schools have been offered guided visits to different areas within the geopark where they will take part in landscape investigation exercises. (For more information see the Sitia Geopark Facebook page).